Medication doesn't make you a racist, Eddie. You already were one. Jessica Rowe says she is still 'terribly upset' by Eddie McGuire's comments. 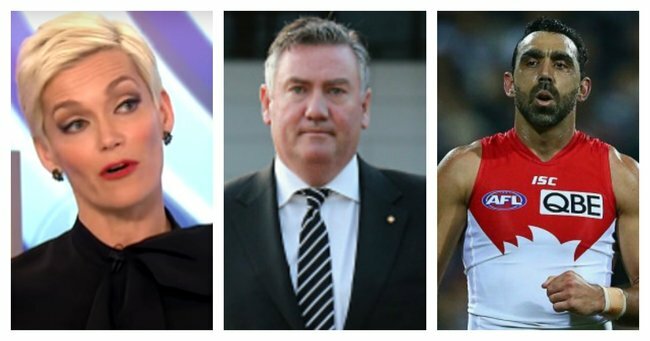 Jessica Rowe has again opened up about Eddie McGuire’s offensive ‘boning’ comment, saying she is still “terribly upset” after his less-than-impressive ‘explanation’ featured in a new article released today. Speaking on Studio 10 on Monday morning, Rowe said that despite almost a decade passing since McGuire allegedly asked his news director Mark Llewellyn, “What are we going to do about Jessica? When should we bone her? I reckon it should be next week” the mother-of-two has admitted that she still feels “terribly upset” when thinking about it. Jessica Rowe on Studio 10. Source: Channel 10. 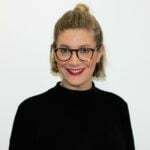 "That year was a terrible time in my life and it was not helped by public abuse, abuse from within the network that I worked at and abuse from someone who was in charge of that particular network," Rowe admitted candidly. But according to McGuire, his only crime was adopting the local slang of a city he was new to. Speaking to GQ Magazine over the weekend, McGuire explained, "It [boned] was a word that was bandied about – but it was a Sydney term and it was one that Mark Llewellyn, and others, used quite regularly. I use the term ‘burn’." And while McGuire went on to add that Rowe was "the drive-by victim in all of this" and that "she didn’t deserve any of it, and I feel deeply about that," going into the semantics of slang isn&apos;t exactly an apology, is it? Eddie McGuire. Source: Getty Images. And what of McGuire&apos;s racist comment about Adam Goodes? Well, we&apos;ll have to blame the doctor for that one. In the same interview, the 51-year-old Collingwood Football Club president explained that his 2013 comments suggesting Indigenous AFL star Adam Goodes should be used to promote the musical King Kong were made while he was on "massive pain-killers and crutches". Adam Goodes playing for the Sydney Swans before his retirement in 2015. Source: Getty Images. But you know what, Eddie? Many of us have dipped into a questionable medicinal cocktail at some point in our lives. Last week I spent three days taking a mix of prescription drugs quite similar to McGuire&apos;s, while in the midst of a debilitating migraine. Relying on heavy-duty painkillers, muscle relaxants and steroids, my incoherent ramblings were flowing aplenty. "Have I eaten cheese recently?" "Do you ever wonder if the door is open when it should be closed?" "What would life be like as a doona?" Eddie McGuire at this year&apos;s Big Freeze. Souce: Getty Images. When a home-visit doctor asked me how old I was, I replied, "100," before breaking into an at-peace-on-painkillers smile. So sure, my musings and observations were ones that made no sense, but they were fundamentally questions and comments that lived inside me somewhere (I stand by wanting to know more about the life of doonas). And because of that I can&apos;t help but think that painkillers or not, McGuire&apos;s comments about Goodes were not ones formed in the heat of the drug-addled moment, but rather thoughts that had been lingering there all along. Eddie McGuire publicly apologises to Caroline Wilson nine days after making violent comments about her. Just like his &apos;misappropriated slang&apos; wasn&apos;t the reason behind his aggressive and unprofessional comments about Rowe. And even if both of those excuses did hold up in those instances, what&apos;s McGuire&apos;s explanation for saying he&apos;d pay $50,000 to see Caroline Wilson drowned to death? Shock from the cold water bath he&apos;d just been in? At best, McGuire could just own up to sharing racist and sexist views to millions of Australians and apologise unreservedly, without further explanation. At worst, he could continue to spend his time searching for justifications of what is slowly being recognised as unjustifiable behaviour. But one thing is for sure. The more McGuire dips into the bucket of excuses, the less options he&apos;s going to find next time he&apos;s there.